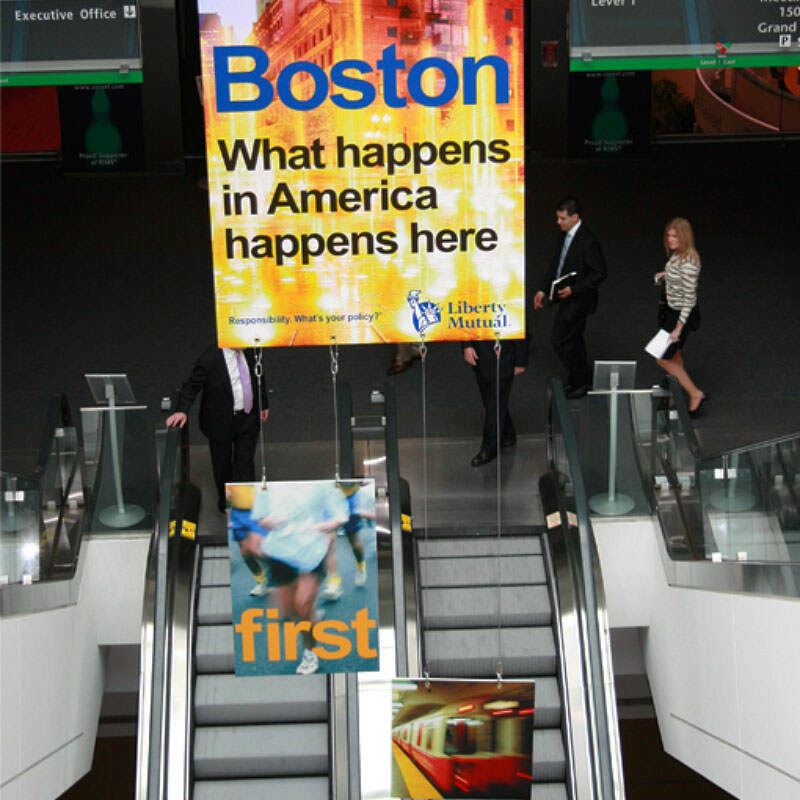 Every year Liberty Mutual has a major presence RIMS first Annual Conference & Exhibition, the largest risk management conference in the U.S. 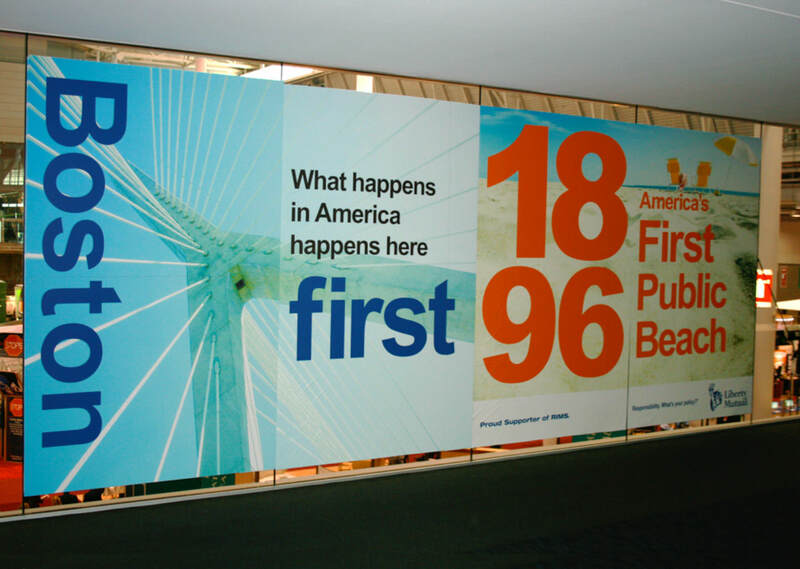 This includes a city-wide outdoor campaign that carries over to the lobbies and main floor of the convention center. 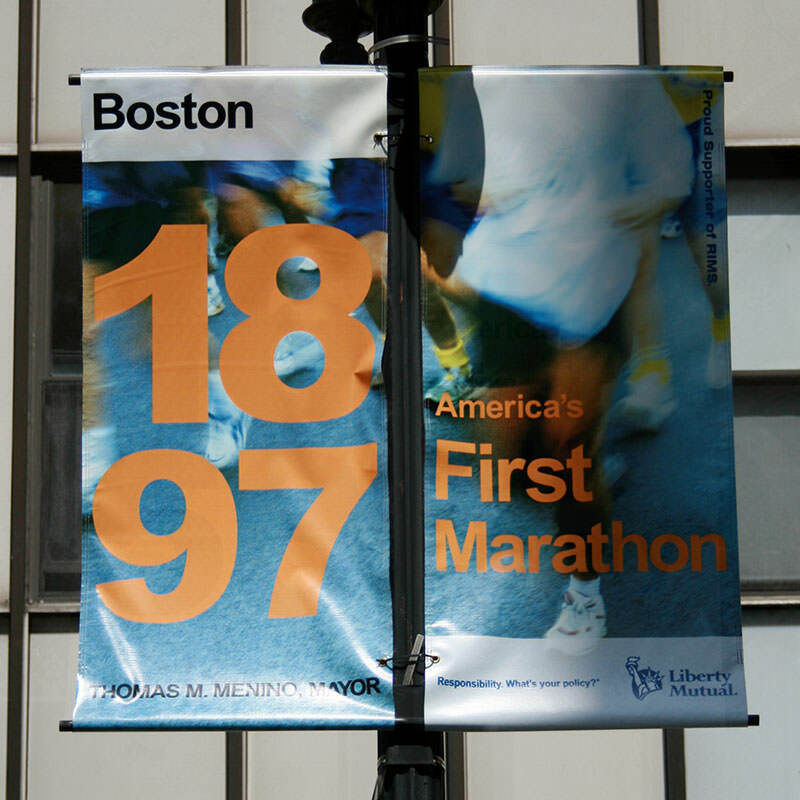 RIMS does not allow any campaign that directly promotes Liberty Mutual. It has to be more of a public service or informational message. 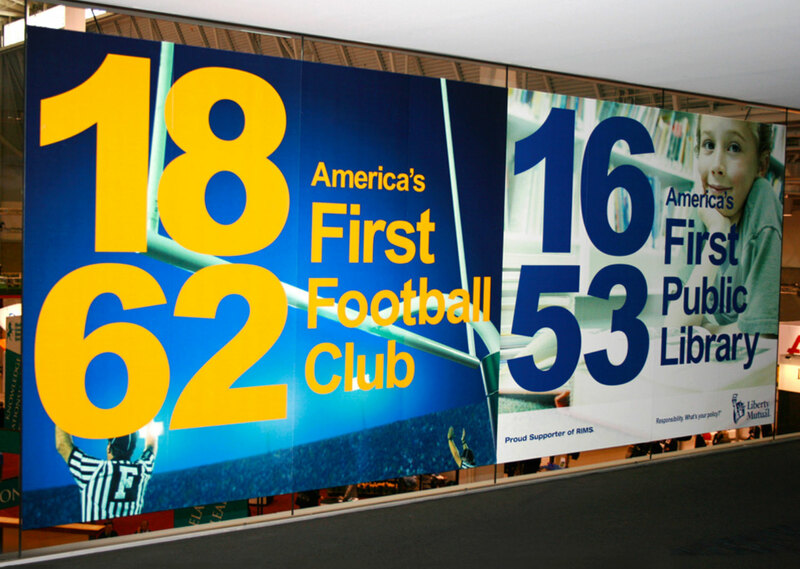 In celebration of RIMS first Annual Conference & Exhibition in Boston we created a campaign around the idea of not only welcoming visitors, but giving them a little bit of Boston history as well. 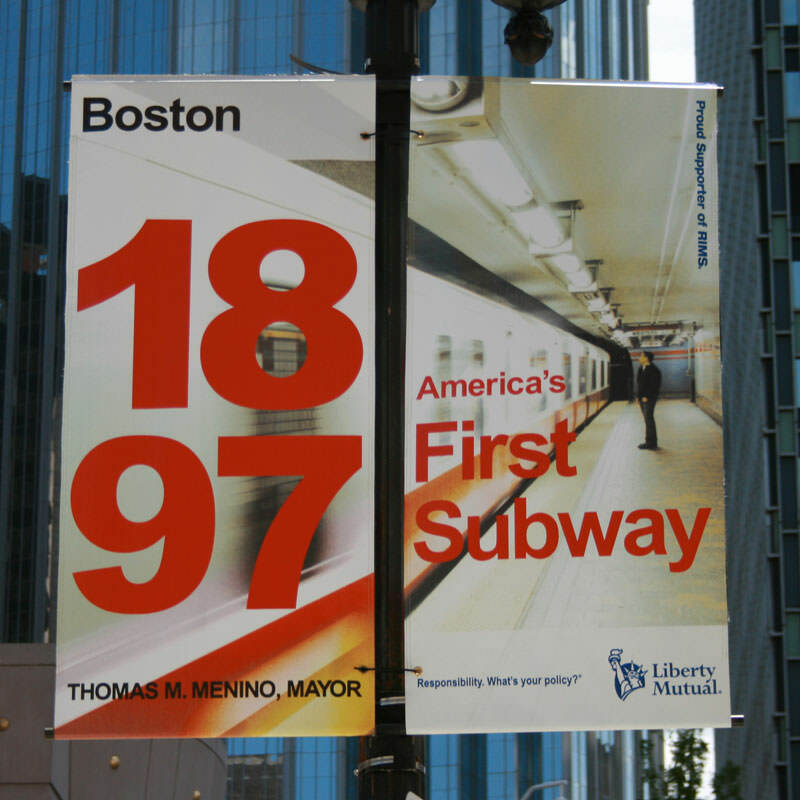 From inception this city has been a center of knowledge and focused on moving America forward. 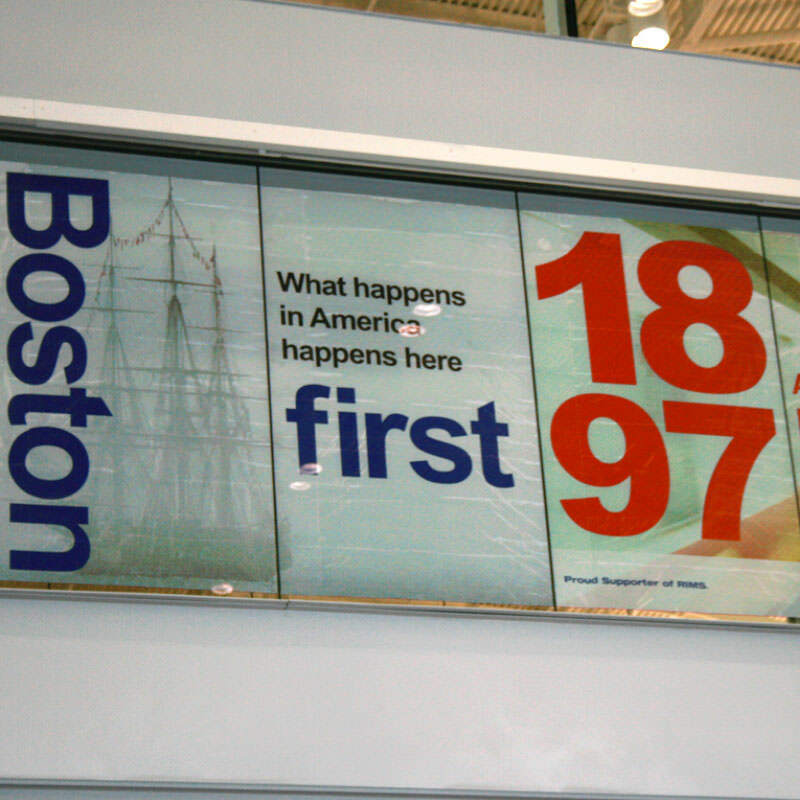 The idea of What Happens In America Happens Here First was brought to life through a rotating billboard at Logan Airport to greet attendees as they arrived, street banners along Boylston Avenue and Summer Street surrounding the Boston Convention and Exhibition Center, and large floor, wall, and walkway graphics within the center. 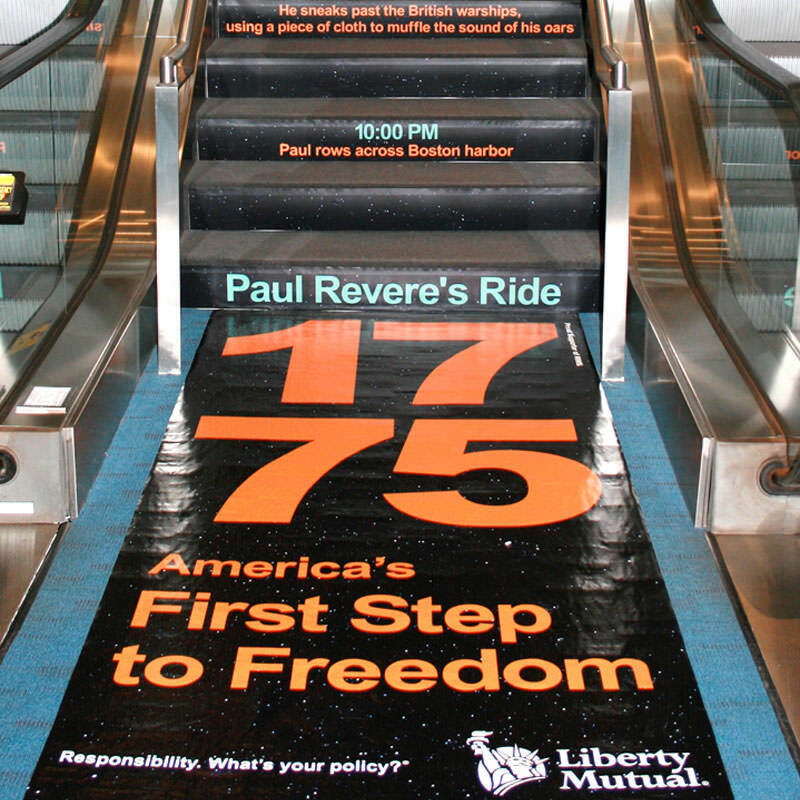 Other graphics included a large mobile hung above the escalator and a step by step account (literally) of Paul Revere’s (and others) famous ride to warn the colonial minutemen. The campaign was well received and received substantial buzz. 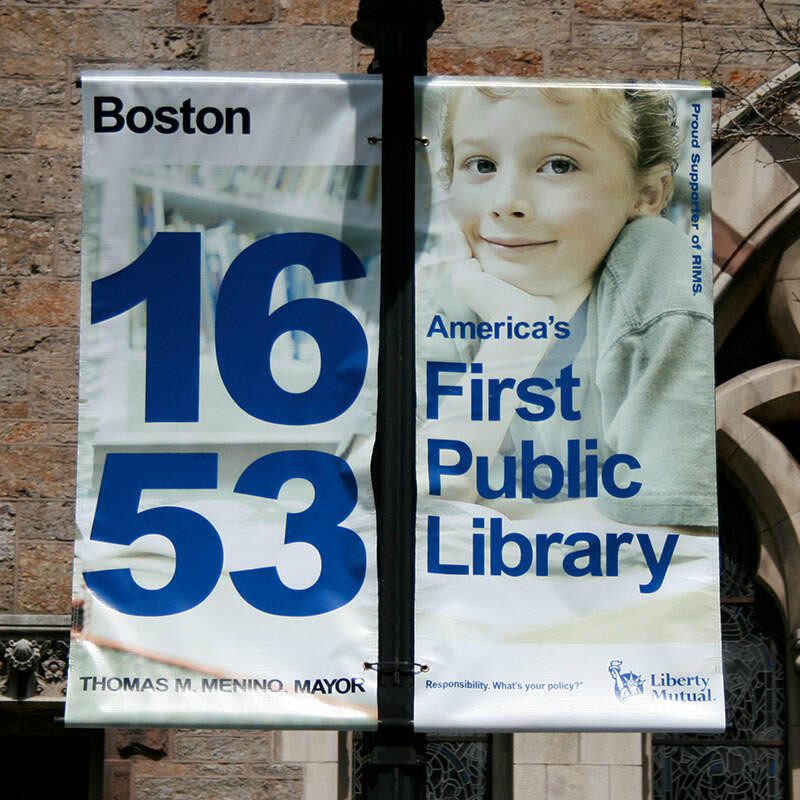 The city of Boston left the airport billboard in place months after the conference ended and decorated the lobby of Boston City Hall with a set of the street banners.